Bliss Physiotherapy Unit is equipped with latest machines, manual therapy skills and team of qualified Physiotherapist that deliver the highest quality care & rehabilitation to those suffering from pain & injury. It provides services to individuals in order to develop maintain and restore maximum movement and functional ability throughout life. We apply different types of physiotherapy treatment techniques in our Health Center that helps provide maximum benefits to you. We utilize strapping and taping techniques to prevent injuries. Commonly two types of taping or strapping are in practice – Rigid Strapping Tape and Elastic Strapping Tape. Rigid strapping tape is often referred as “Sports Tape” or “Athletic Tape” and it is used when more support is required. Elastic strapping tape is used when less rigidity or support is required. 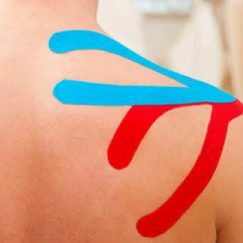 We also use of Kinesiology Taping that is an application of a thin, stretchy, cotton-based therapeutic tape that can benefit a wide variety of injuries and inflammatory conditions. It is almost identical to human skin in both thickness and elasticity, which allows it to be worn without binding, constricting or restriction of movement. We use of exercise therapy to strengthen your muscles and improve your function. Physiotherapy exercises have been scientifically proven to be one of the most effective ways that you can solve or prevent pain and injury. We are expert in the prescription of the “best exercises” for you and the most appropriate “exercise dose” for you depending on your rehabilitation status. 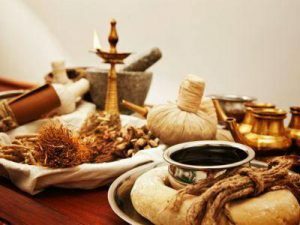 We also incorporate essential components of Yoga and Ayurveda Massage to provide you with the best result. Biomechanics is the study of human motion. 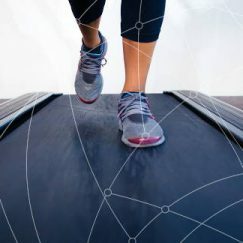 The study of biomechanics is important when determining what causes injuries and therefore how we can prevent them re-occurring. Biomechanical assessment, observation and diagnostic skills are paramount to the best treatment. We have highly skilled health professional with superb diagnostic skills to detect and ultimately avoid musculoskeletal and sports injuries.